Material: Upper part: 100% polyester. 100% polyester. 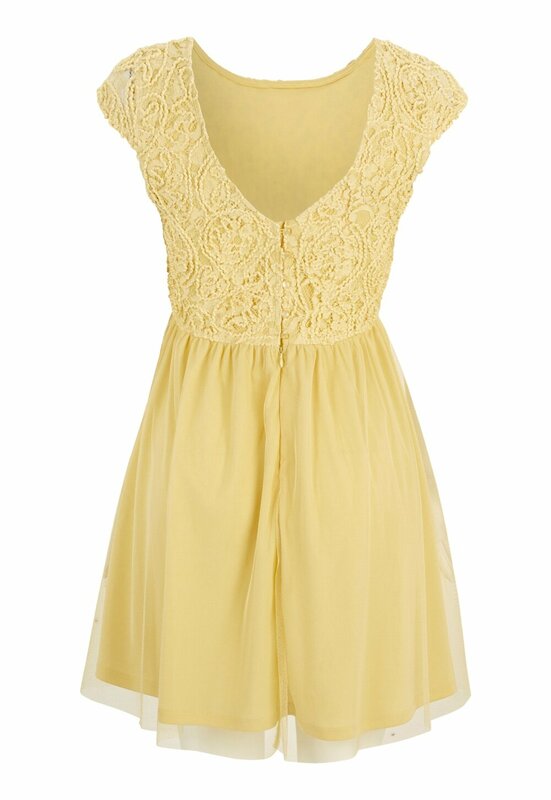 Dress with beautiful details from BUBBLEROOM. 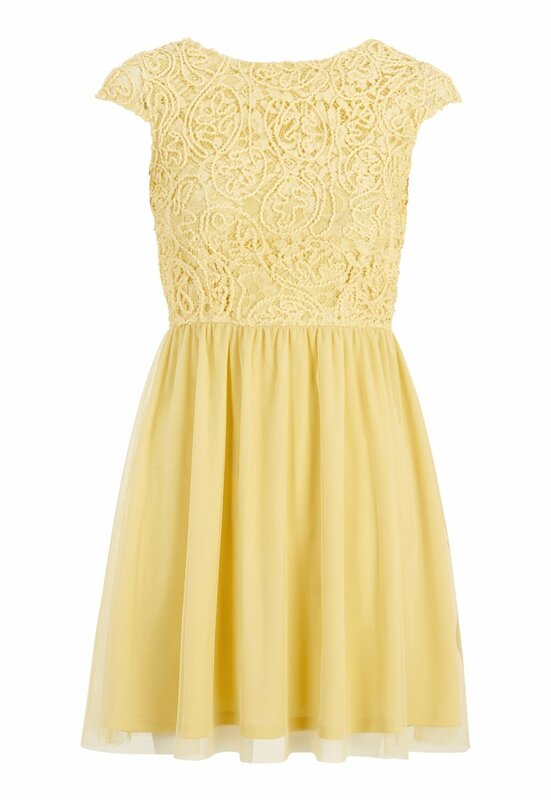 - The upper part of the dress has stretchy, lined lace. - The skirt has a mesh lining. - Closes using beautiful buttons at the back, as well as a concealed zip. - Length from shoulder: 86 cm in size 36.